Osaka is known to be the Kansai Japanese city- with its particular accent and laid-back vibe, Osaka is a contradiction to Kyoto’s tradition and Tokyo’s mainstream feel. Throughout Japan it is known as the food capital, as it has excellent links to the sea and to the countryside, where it gets its produce from. It is the second largest city in Japan, and one of the biggest metropolises in the world. 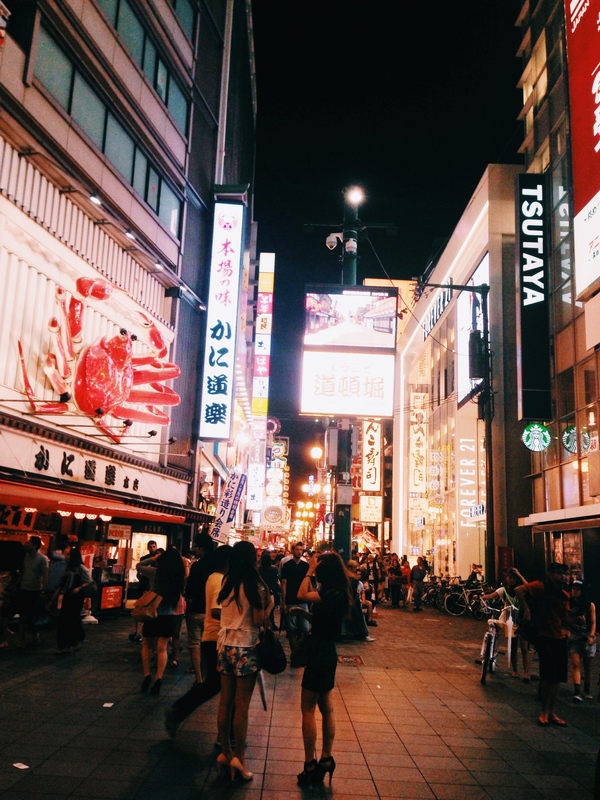 Osaka for tourists is mainly known for its food and night life around Dotonbori, however it has a few sights that are worth visiting before you paint the town red on your night out. Ideally it is best to make Osaka a day trip from Kyoto, as the main attractions can be visited during one day, and then you would be able to go back to Kyoto to visit some of the less-visited temples and sights. This is the road that represents the entertainment district of Osaka. Osaka is known for its party attitude, with drink and food flowing out of every shop lining this street. The sheer quantity of food here is ridiculous- you can find crab, takoyaki, teppanyaki in every stall, and each owner has a slight variation to the recipe, making it a must-do to try every one. After all the food you may feel a bit stuffed! These Osakan ‘food parties’ last until dawn, so there is a continuous flow of food over the night, mixed in with the nightlife and drinking. 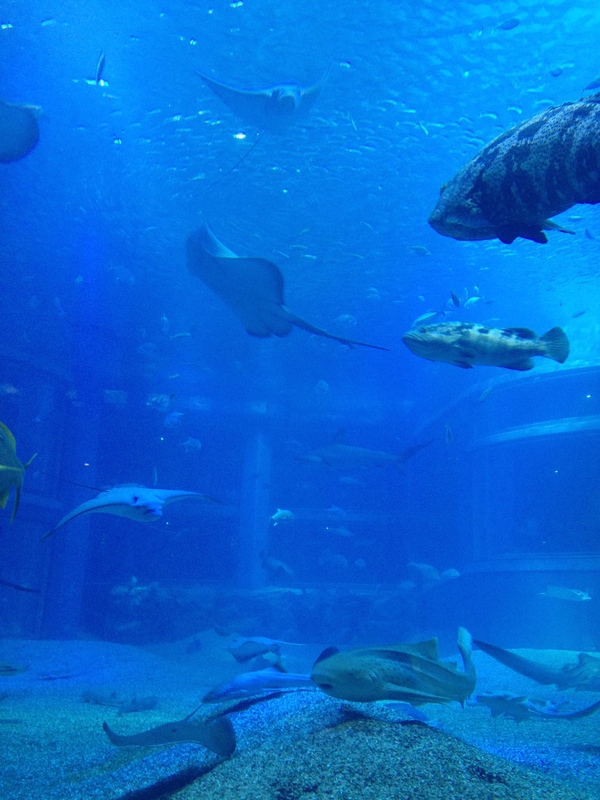 The Kaiyukan Aquarium is particularly spectacular in Osaka, as certain fish and wildlife are only kept there in their specific environment. The walk-through exhibits are truly spectacular, and it is mostly the sheer size of the main aquarium that attracts tourists all the time to see the whale sharks and other marine life. The displays are very well organised- every tank has a specific theme, and the fish are not crowded in like in some other tanks. It is really worth taking a day out to go to the Tempozan Harbor Village to see the whale sharks, the seals and the jellyfish displays in particular. If you have enough time, head to the nearby shopping centre, where there is an a animal cafe on the top floor. This wonderful castle can be seen from all around the park, in particular the Nishinomaru Garden, which is a favourite for locals and tourists alike in the cherry blossom viewing season, since the garden boasts 600 cherry trees. The castle can be accessed through a continuous climb to the top, and for a small fee, you can learn about the history of the castle and take in the view of Osaka from the top. The inside has been modernised, so access is easy for all tourists. The displays cover the life and of Hideyoshi Toyotomi and the numerous Osakan wars. There are all kinds of artefacts displayed from the past, and numerous official scrolls are rolled out and displayed in the cabinets. This would be a perfect relaxing day trip to see the castle, learn about the history of Osaka and relax in the park outside. 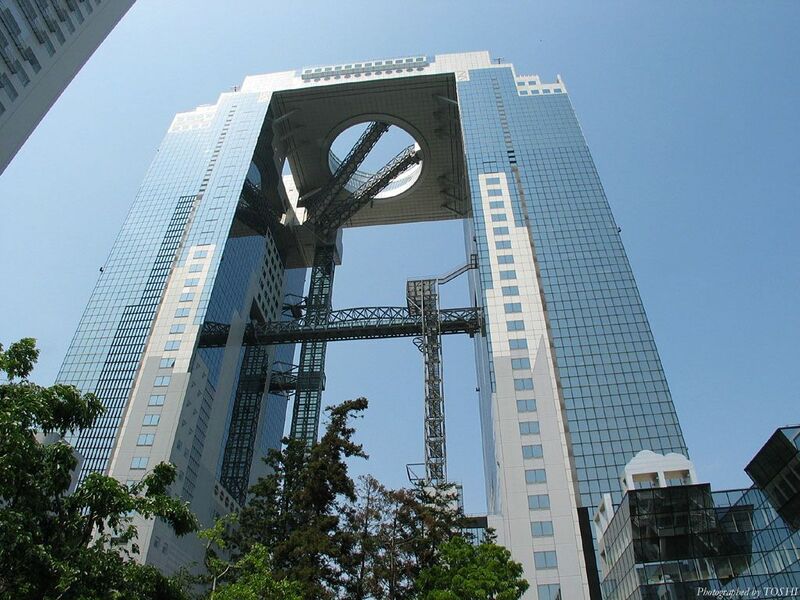 The Sky building is one of the tallest buildings in Osaka, and the views from its topmost floor are legendary. It is particularly worth going at night, since the lights around Osaka are only really visible then. The rooftop floor is filled with tiny pieces of reflective material that shine under the UV light to help people across the round walkway. If you are scared of heights this may not be ideal for you, as the elevator that goes up to the top still has a panorama of Osaka, and the walkway at the top is only separated by glass from the fall. However, if you do brave it, the views are truly worth it, and you can calm your nerves later in the little Showa Period replica village at in the basement floor, where different restaurants serve up their speciality. 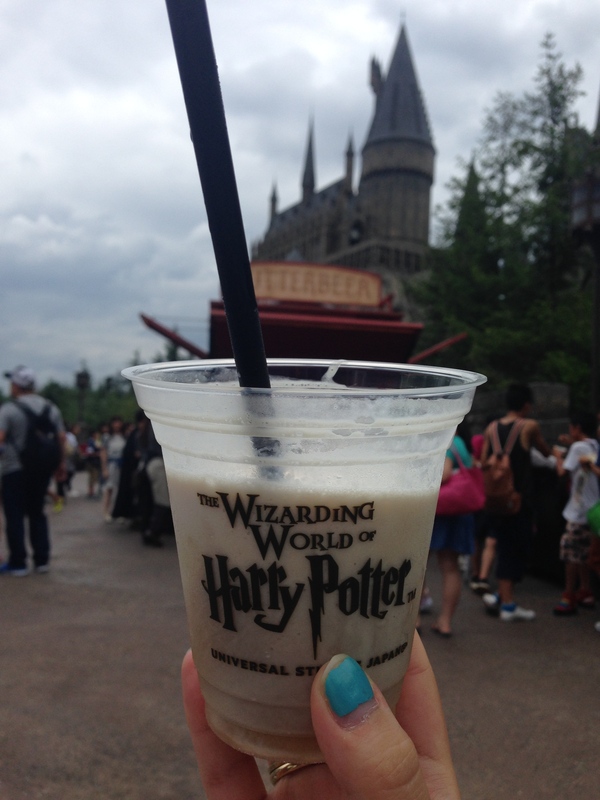 Now obviously this is a personal choice- however Osaka is not Kyoto, and the commercial theme park is really worth going to, even if it is just to get a taste of Butterbeer in the relatively new Harry Potter part of the park. 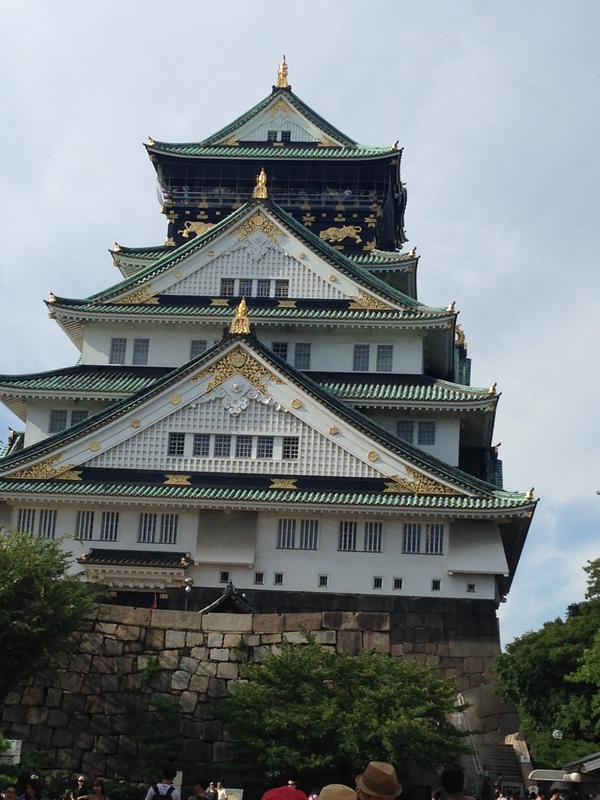 Although Osaka does have traditional temples and the Osaka Castle, it is also a great place to relax and have fun! The rides in the park are really wonderful and the different characters walking around give you a good chance to snap a cliche picture with Hello Kitty. The other great part of the Osakan Universal Studios is the Citywalk just outside, where on the fourth floor you have the Takoyaki Museum, letting you try different kinds of takoyaki, all coming from different vendors around Japan. These posts are retrospective, as I’m unfortunately not in Japan at the moment, however I am going back in December!